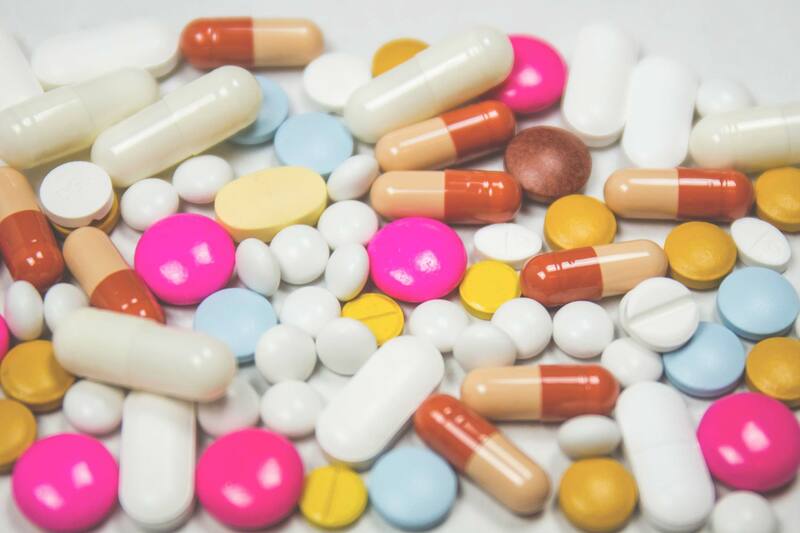 Business Growth Headaches: Are Inbound Marketing Solutions Vitamins or Aspirin? To put it another way, do inbound marketing solutions have a perceived future benefit or are they something you can use to remove an actual pain now? We're encouraged to think of ROMI in the medium- to long-term, so most shiny new objects in the world of marketing are sold as vitamins. I'll admit that most of the way I think and talk about inbound marketing solutions has been as 'vitamins' for your business growth. I'll also admit that now I'm not so sure of that. The flywheel is a simple model for thinking about how your communications with the outside world can be organised around the needs of your customer. The better you are at it, the faster it spins, the easier it is to gain momentum, the better you get at it. Like the flywheel on your engine, once it's spinning, it's hard to stop. The vitamins thought process goes like this: what if you could drive growth in your business by making your marketing, sales, and customer service work seamlessly together to serve your customers better? What if you could get your flywheel spinning so that it's easier to maintain momentum, requires less energy to spin it faster, and your customers are contributing more and more of that energy over time? Here's the thing: I've spoken to hundreds of businesses about this and the conversation almost instantly moves to the problems with implementing it. It's not like many business owners and department heads haven't been trying to implement longer-term, customer-centric strategy this the whole time already. The graphic is new, but the idea that happy customers equals more customers isn't new at all. What's holding them back isn't the lack of a simple graphic to explain it. What's holding them back are often the blinding headaches in their organisation that they can't shift. The good news is that these headaches are easy to find. Look at the flywheel again, specifically the chevrons in-between each section. They are where the most common pain points can be found. Can you identify with any of these questions? Is your marketing team generating leads but they don't know what sales do with them? Is marketing passing a lead to sales with little or no explanation of where it came from or why the marketing team thinks it's worth pursuing? Is your sales team doing whatever it needs to to get the deal across the line, even if it means it's not the right thing for the customer? Is sales not capturing crucial information from their conversations with the customer, so it doesn't get passed to your service team? Is the service team unhappy with trying to deliver what sales have promised? Is the service team telling marketing when it receives a compliment from a customer? Are they feeding back to the wider business the things your customers like or dislike about how you communicate with them? Is marketing spending all its time and budget on trying to find strangers because sales want 'net-new', despite the fact that strangers don't buy from you and most of your customers come from word of mouth? Most businesses can't afford to wait for some distant utopian future when all these headaches don't exist anymore. They're pain points that you can (and should) seek instant relief from now. 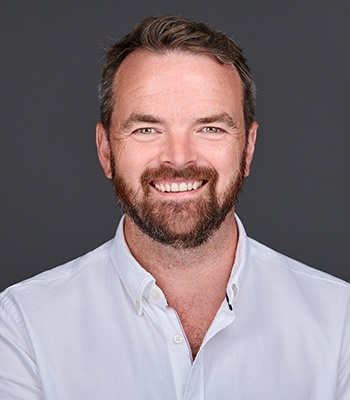 If you could find someone who had the power to remove the pain in a matter of days, alleviating the rivalry between sales and marketing and driving business growth, how soon would you hire them? I'm wondering if the way we should be promoting how we do inbound marketing is actually far closer to the act of solving pain points in the here and now, making incremental improvements to everyone's lives as we go along. When I look at the results our team is delivering, and the feedback from their clients, I can see that we really do have the power to solve these all-too-common problems. Don't get me wrong, I'm not saying an inbound marketing strategy doesn't do the vitamin stuff. I'm not suggesting that you shouldn't worry about the future goal — it's critically important. (If you don't have a future goal, you've got a much bigger challenge to address). What I am saying is that when the day-to-day headaches are getting in the way of the big thinking, an aspirin could be what you need first. How's your head this morning, and could customer-oriented inbound marketing services be the relief you're looking for? 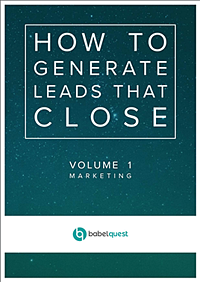 Wherever your headaches are, download our free, 80-page ebook and learn how to generate leads that close for your business.